It just so happens that the area we moved to is crawling with edible surprises. Brookhaven State Park is a mere two minutes from my new spot and a quick walk through the woods rendered me with a full bag of treats. The experience brought forth memories of my Granddad hunting through the back woods of Indiana for morels. He would often fry them with a simple scrambled egg. That was my first encounter with foraged mushrooms. Now I've found myself in his shoes so to speak, searching for treasures amongst the fallen trees and matted leaves. 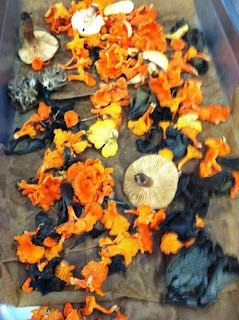 Red Cinnabar Chanterelles, Black Trumpets, and Maitakes! 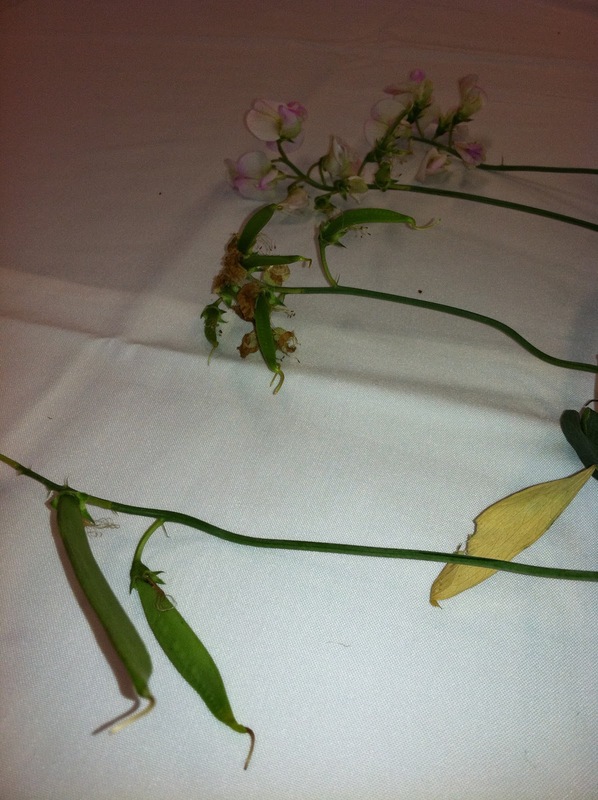 Another unusual but delicious find: Beach peas or Lathyrus japonicus. These things have been growing since early spring but until now were only bright flowers. 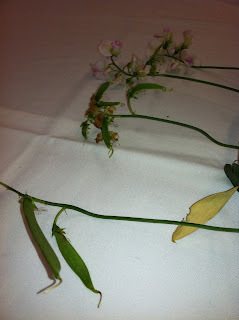 Now the fruit is visible in the form of a tiny pea pod complete with tender peas. They grow wild near beaches and sandy meadows. Not quite the same as an english pea, but just as scrumptious - and FREE!